With its rising popularity, numerous companies have been using search engine optimization on their sites. Competition is tight and one way to get ahead is to master the latest trends first. 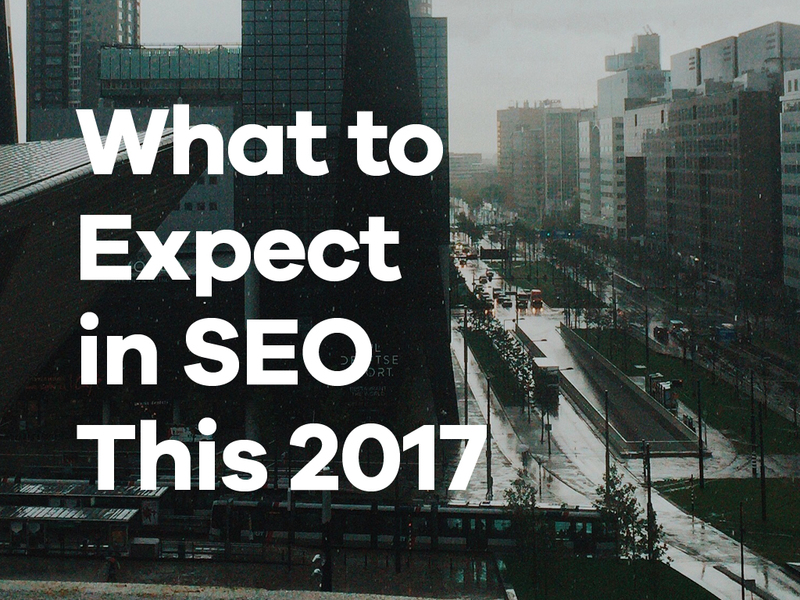 The following are changes and developments in SEO that will happen in 2017 that you want to take advantage of. This is Google’s initiative to create a new standard for creating mobile versions of websites. This open-source protocol makes simple changes that allow websites to load 4 times faster with 8 times less data. Google favours pages that use this protocol and give them higher rankings in the search engine results pages (SERPs) and even marks them with a small lighting to indicate that it is an AMP. The internet has been littered with multiple articles about the same topic with the same information but worded differently. People have grown sick of needing to dig through multiple pages just to get the information they look for. This is especially true for technical topics. However, there has been a rise of lengthy articles that talk about a topic comprehensively. This is becoming more and more attractive for readers because it is like a one-stop shop; all the information they need will be present in one page. When you do a query search on Google, there will be box on the very top of the SERP. This is called a feature snippet (also called rich answer or direct answer) and its purpose is to immediately show you the answers you are looking without clicking any link. This is usually taken from any site on the first page on an SERP. But did you know that these snippets are also available for voice searches? This happens when make a query with voice command. Google understands that you are using voice command for a reason and it will answer back with a voice prompt. This will say “According to [brand/website name] the answer to your question is…” The reference to the brand names in the voice prompt gives the companies a name-recall branding opportunities. When users recall the name of the brand that gave them useful answers, they will keep visiting. This especially useful when recent studies have shown that more user use google with voice command. Gaining a featured snippet on voice command should definitely be part of your 2017 SEO goals. Hummingbird is what finds out and gives what users want when entering long keywords in Google. RankBrain is what studies the long keywords that are too complicated for even Hummingbird to understand. This was made with the intention for RankBrain to update Hummingbird when it further understands how humans word their keywords when looking for a specific answer. Basically, RankBrain is a mind reader. Although, it’s been a while since there has been an update. Companies practicing SEO can expect that Google will begin releasing multiple updates beginning this year which will open much more possibilities of ranking. Personal branding, for a company, means establishing identity standards which include a personality and an image which dictate how the company is marketed. Psychologically, this will engage clients and customers to interact with a company and its website because of how personal it feels. When this happens there will be more website traffic and securement of guest posting opportunities. How true is it that people will interact more with a company that has personal branding? You can look at social media. Facebook has already adapted to this reality by revising their algorithms to show more posts from personal accounts over company pages. SEO is a marketing method that evolves as people and technology evolve. Because of this, it is always important to observe and adapt to the evolution. This year, these are the changes but next year there will be more. Be vigilant and always willing to learn new trends to be successful in SEO no matter how much it evolves.